It is like a Guantanamo for Elder Gods and it is definitely necessary. For decades, a multinational consortium has been waging a not-so cold war against the Lovecraftian entities. They have more power than we do as mere mortals, but once we boot them from our dimension, they are gone for good. 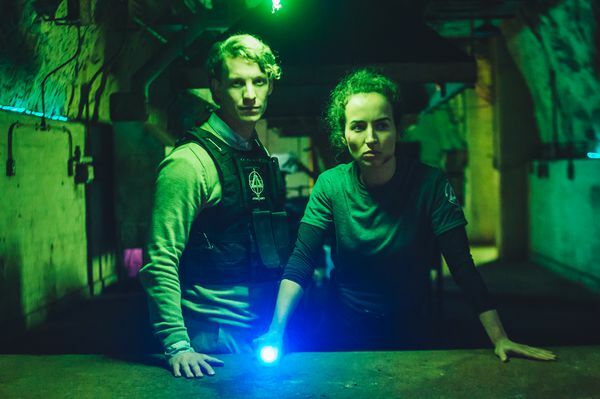 We thought we had them on the ropes, but a particularly nasty elder god has a few surprises in store for the secret facility in Tom Paton’s Black Site, which is now available on VOD. For Ren Reid, it is personal. When she was a little girl, Erebus murdered her parents, as vengeance for “deporting” his elder god lover. She has since followed in her father’s footsteps as an agent of the ultra-top secret Artemis. Unfortunately, she has just been passed over for a promotion again, because of her difficulty controlling her emotions. That will get even harder for her when the captured Erebus arrives. Reid was supposed to merely look after Sam Levy, the gawky deportation specialist, but when human members of the Erebus cult storm the compound, she will have to Die Hard-up to protect the banishment export and score some payback. Of course, Erebus constantly tries to rattle his captors with a lot of supernatural Hannibal Lecter dialogue. However, he is still held in check by the magical runes and electrical grids. Rather, it will be Ker, the sword-wielding leader of the death cult who will be a more pressing danger for Reid. Paton is definitely channeling the Eighties in a major way, but it mostly works as an affectionately grubby pastiche. The moody lighting and old school John Carpenter score are spot-on, while the action scenes are executed with a lot of grit and energy. As Reid, Samantha Schnitzler combines convincing twitchiness and credible action chops. Despite her villainous role as Ker, Phoebe Robnison-Galvin probably surpasses Schnitzler when it comes to fighting skills and screen presence. As the eldest of the elder gods, Kris Johnson definitely has a knack for glowering and making heavy statements. Frustratingly, Lauren Ashley Carter (Imitation Girl, The Mind’s Eye, Darling) is under-utilized (and quickly exits) as Agent Leonhart. However, Bentley Kalu really raises the film’s thesping bar as Agent Austin, Reid’s surrogate father. Even though Paton is clearly paying tribute to his heroes and favorites, he still creates a compelling neo-Lovecraftian world. As a result, Black Site has its own identity, beyond serving as a valentine to Carpenter. VOD is the right distribution avenue for it, but that means it will pleasantly surpass a lot of genre fans’ expectations. 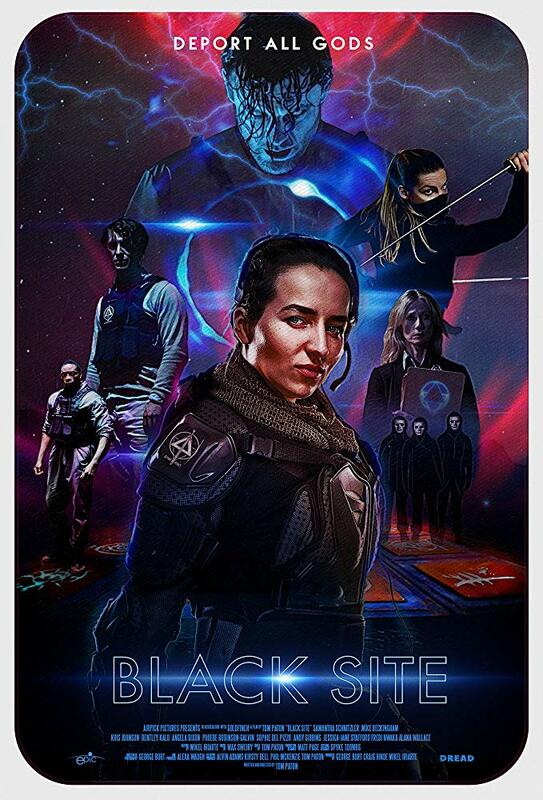 Recommended for those who dig Lovecraftian and retro horror, Black Site is now available via VOD.